Eric Vickers, the provocative, complex and controversial attorney and civil rights activist who defended causes and clients on both sides of the Mississippi, has died. He was 65. His mantra was "litigating, agitating and negotiating." In 1999, Vickers orchestrated an event that required plenty of agitating and negotiating. He helped shutdown Interstate 70 to protest the dearth of African-Americans hired to work on highway projects. Vickers, the Rev. Al Sharpton and approximately 300 other protesters halted morning rush hour traffic. They got the attention of then-Gov. Mel Carnahan, the Missouri Department of Transportation and area contractors. Eric Vickers orchestrated a highway shutdown that resulted in the highway department agreeing to hire more minorities. Negotiations quickly ensued and on July 22, 1999, 10 days after the blockade, protesters celebrated the inclusive agreement that had been hammered out, an agreement which still stands. “I have learned to use public protest for the benefit of the weak and downtrodden,” Vickers wrote in his blog post. His cases needed to be equally meaningful; activism and law were inextricably linked. "I never wanted to be just an attorney. I wanted to be a lawyer fighting for justice where it most mattered, inside its very core,” Vickers said in a 2001 RiverFront Times profile. “He practiced what I call ‘guerilla law’,” laughed his longtime friend, Virvus Jones, the former City of St. Louis comptroller. Vickers was filing lawsuits almost until he died on Friday, April 13, 2018, of pancreatic cancer. He had lived in the Central West End. When Vickers and other organizers shut down I-70, the Missouri Department of Transportation was a $1 billion-plus agency that had awarded 3 percent of its contracts to minority firms. The protest and subsequent negotiations caused the state of Missouri to change the way it does business and cemented Vickers’ reputation as a man to be reckoned with. An agreement was reached with MoDOT to initiate a construction program that trained more than a thousand minority workers. It also created a 10 percent set-aside of construction contracts for minority firms and 25 percent of construction jobs for minority workers. The set-asides became common practice not only in highway construction, but many other major capital projects. The victory celebration drew Sharpton back to St. Louis, along with Martin Luther King III. King told an assembled crowd of about 500 that the movement was restarted in St. Louis. Vickers had achieved a similar victory in the City of St. Louis a decade earlier during the time Jones was comptroller. Vickers represented minority contractors in a federal lawsuit against the city that resulted in minorities receiving 25 percent and women businesses receiving 5 percent of all St. Louis contracts. The "25/5" was established in a consent decree and executive order in 1990. "You can't be on the cutting edge and not expect to get cut. You have to enjoy the totality of the moment — the good and bad. It is all a complete circle. You can't have one without the other." His hometown of East St. Louis was a teeming industrial city when Vickers was born in 1953. By the time he entered high school, the city’s most prosperous days were behind it. His parents moved the family to University City where he got his first taste of civil action – and its power. He participated in a student-led sit-down at University City High School to protest the lack of black teachers and staff. The tactic worked. "There was a real sense of power, and once you realize the power of organizing, you never lose that sense," he said in his RFT profile. He wanted to get started on his activism full-time after graduating from high school in 1970, but his parents insisted that he go to college. 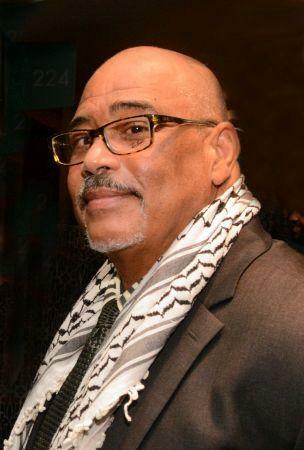 He first attended St. Louis Community College at Forest Park, then Washington University, from which he graduated in 1975, with a political science degree. He later earned a master’s degree from Occidental College in California. After doing a year-long internship in the CORO Foundation Fellows program in St. Louis, Vickers entered the corporate world. He immediately began to upset the apple cart, advocating on behalf of black employees. When he got the opportunity to represent a black Monsanto employee at a union hearing, and won, he knew he’d found his calling. He headed to law school at the University of Virginia from which he graduated in 1981. Upon returning to St. Louis, he joined Bryan Cave, one of the city’s largest and most prestigious law firms. But it was another form of the corporate world and he wanted to defend the underdog. In 1983, he and two others established their own firm, Vickers, Moore & Wiest. He took on difficult criminal and civil rights cases and was soon working on behalf of minority contractors. At the time, Eddie Hasan, who led the St. Louis Minority Contractors Association and later the minority contractor advocacy group MO-KAN, called Vickers “the missing link” in the contractors’ efforts to gain contracts. Vickers had successfully meshed his love of law and activism, but the dual roles would soon take their toll. One of Vickers’ most challenging experiences does not appear on his official résumé: his time running interference for the man who was once the nation’s youngest mayor. In 1988, Vickers entered the chaotic world of East St. Louis Mayor Carl Officer. The two had been childhood friends. He served as attorney for both the city and the mayor. By the time Vickers came on board in 1988, Officer had gained a reputation for outlandish behavior and poor management. Vickers said a judge warned him that working for the city of East St. Louis would ruin his career. "He was being kind," Vickers said in his profile. It not only challenged his career, it landed him in jail. After missing a court date about overflowing sewers, the judge in the case threw both Officer andVickers in the St. Clair County jail for contempt. They were quickly bailed out, but troubles continued. Another time, the two went for a routine hearing, but ended up losing City Hall. There was a separate case for a judgment against City Hall for the severe beating an inmate suffered while he was in the city jail. In lieu of the $3.4 million judgment, the court took the building. The Illinois Supreme Court overturned that decision. But during three years working with Officer, Vickers fought approximately 300 legal battles for the city. He kept working, even after the legal budget was cut to $2, until Officer lost his bid for re-election in 1991. It was too late, however, for him to return to his law firm; his partners were gone and the firm’s finances were in disarray. He opened an office alone. It was just one of many calamities Vickers would endure — and ultimately conquer. Vickers converted to Islam while pursuing his law degree at the University of Virginia. 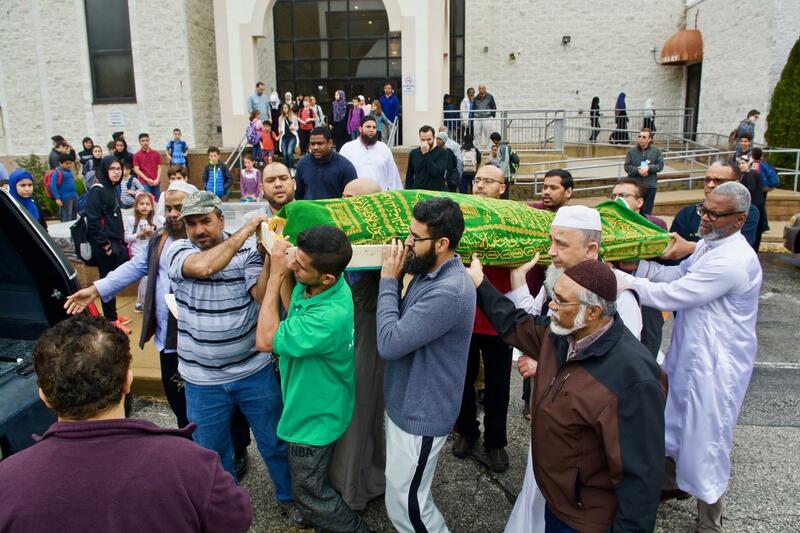 His funeral was held Saturday at the Darul-Islam Masjid in Balwin. Five months after he won his most famous victory in 1999, he lost the law license he’d earned at the University of Virginia in 1981. Mr. Vickers was charged with neglecting his clients, many of whom filed complaints against him. By his own admission, he was severely overextended. It was not the only time he was disbarred; each time his license was restored. Three years later, his home was foreclosed on. He ran unsuccessfully, twice, for then-Rep. William “Bill” Clay‘s seat in the U.S. House. In his RFT profile, he summed up the many challenges he faced. “You can't be on the cutting edge and not expect to get cut,” he said. "You have to enjoy the totality of the moment — the good and bad. It is all a complete circle. You can't have one without the other." Throughout it all, he was sustained by his Muslim faith. He converted while in law school and it became part of his activism. Following the terrorists' attacks on 9/11, Vickers defended Islam. He twice met privately with President George W. Bush. He served as executive director of the American Muslim Council and on the board of the American Muslim Alliance. In his leadership roles, Vickers appeared on television programs, including a panel discussion on C-SPAN that included then-FBI director Robert Mueller. Throughout his life, activism remained at his core and sustained him. He fought for economic issues, but was unafraid to explore any area of injustice. Later investigative reporting by the Post-Dispatch proved that Vickers’ suspicions about the killings were well-founded. He had another prescient moment with the 2008 election of President Barack Obama. "Yes, many whites will assume all our racial problems have been solved,” Vickers predicted in a Post-Dispatch report. After the killing of Michael Brown in Ferguson on Aug. 9, 2014, he exhorted black leaders to again practice civil disobedience. That’s what he did. One of his fellow protesters and a client, state Sen. Jamilah Nasheed, D-St. Louis, went to jail during the protests. 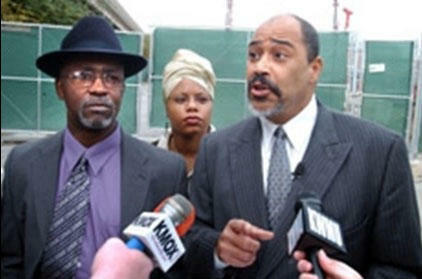 Eric Vickers (right) along with Eddie Hasan and Jamilah Nasheed at a news conference about the lack of minority inclusion in construction projects in the region. He and Nasheed had been together as his foray into politics grew. He was her campaign manager when she first ran for the Missouri House of Representatives. He was returning a favor; she had worked on his bid for the U.S. House of Representatives in 2000. She began serving in 2007 and Vickers became her chief of staff. Last year, in an open letter in the St. Louis American to his daughter, Erica, (whom he affectionately called “Puddin”), he told her and his granddaughters (“Pumpkin” and “Peanut”), how his photo came to be in the History Museum’s exhibit #1 in Civil Rights. The picture was from a protest at the offices of the St. Louis County government. The St. Louis Minority Contractors, an organization Vickers incorporated, was demanding that the county enact a law requiring inclusion of blacks in all county contracts. “The picture shows me in the dual role I performed: attorney and activist,” Vickers wrote. Eric Erfan Vickers was the second-born of Claire Lee and Robert Vickers’ four children. His mother worked for the federal government; his father was superintendent of schools in Venice, Illinois. He was born Feb. 16, 1953 at Peoples Hospital, an all-black hospital in St. Louis. His mother had refused to have her child at St. Mary’s Hospital in East St. Louis because black children were delivered in the hospital’s basement. Atop his blog is posted some of his mother’s words of wisdom: "Your smart mouth will get you in trouble." They were words he respected — and occasionally heeded. His marriage to Judy Gladney ended in divorce. Services were held on Saturday at Darul-Islam Masjid in Ballwin. Survivors include his son, Aaron Vickers of St. Louis; his daughter, Erica Cage of Shiloh, Illinois. ; his father, Robert Vickers of University City; his sister, Vikki Deakin of Ogden, Utah; his brother, Steven Vickers of University City, and three grandchildren. Correction: An earlier version of this article incorrectly reported where Thurgood Marshall attended law school. Marshall would have been barred from UVA because it did not allow blacks to attend the school at that time.